Back on the road again after a lengthy period of "renewal", Steve Grimmett has reassembled a powerhouse band and is in top form, reminding us all of why he is considered amongst the elite of rock singers in recent history. Leaving the trials and tribulations of a turbulent time behind him, some of which is addressed and exorcised throughout the new album's lyrics, he has grown in determination and stature. What doesn't kill you certainly makes you stronger, and nowhere is this more apparent than in Steve's will to re-conquer the rock world. 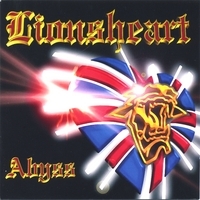 Lionsheart are therefore back with the line-up that has been together for the last three years including Steve Grimmett (ex Grim Reaper, Onslaught) on vocals, Ian Nash on guitars, Eddie Marsh on bass and Steve Hales on drums and keyboards. "Abyss" is the result of this hard work and commitment. The band’s fourth album was recorded at Warehouse Studios in Oxford, UK with Steve Watkins at the production helm. He gave the album an uncluttered, raw production whilst maintaining the melodic overtones. "Abyss" carries over 50 minutes of metal combining the epic power of "Screaming" and "All I Got", the soulful melodies of "I Need Love" and "If You Cut Me" with the awesome definitive sound of one of Britain's most unrelenting metal vocalists, Steve Grimmett.